LA PAZ: Archaeologists say they found tombs at a Bolivian quarry containing remains from more than 500 years ago that give an insight into the interaction of various peoples with the expanding Inca Empire. The remains, which were found about 20 kilometres from La Paz, belong to more than 100 individuals from an indigenous civilisation and were buried with more than 30 vessels used by the Incas for performing death rites, said an archaeologist involved in the excavation. 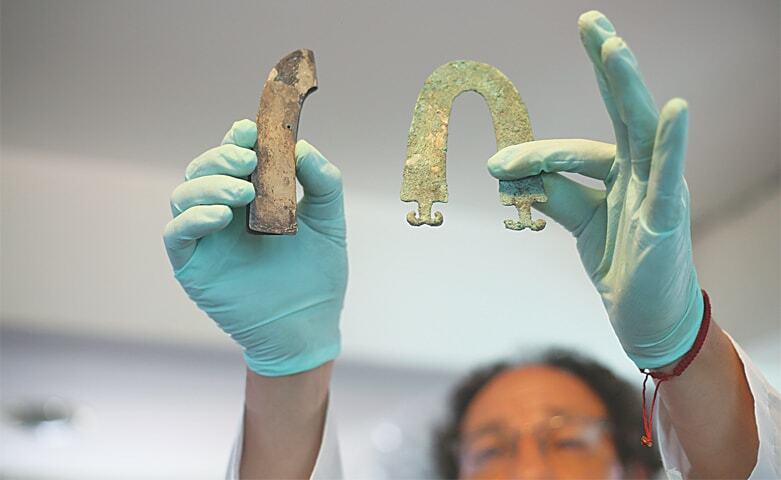 “The vessels are whole and are Incan,” said Jedu Sa­­garnaga, an archaeology professor at Universidad Mayor de San Andres in La Paz who led the investigation. “This finding reaffirms our identity and culture and shows that not only was there an influence from the Incas, but from other people as well,” said Julio Condori, an archaeologist who runs the Archaeological and Anth­­ropological Research Center in Tiwanacu and was not involved in the excavation. Bolivian Minister of Culture Wilma Alanoca called it an “unprecedented discovery”. The site was excavated months ago, but the findings were not made public until this week. Sagarnaga said that in ad­­dition to the bones, the burial site held more than 150 decorative bronze obj­e­cts including necklaces, bracelets, ornaments for women’s hair, large brooches, and two horseshoe-shaped headbands used by nobles. The archaeologist said the site had been looted in the past, but the tombs are inte­resting because they held the remains of men and wo­­men from different social strata. The remains were ta­­ken to an archaeological cen­tre for further study and will eventually be returned to a museum in Viacha.